Western Weekend takes the ranching history of the area and adds a bit of the quirkiness of the residents of the area. Take a look at my previous post on Western Weekend. Head to the parade, which will start at noon on Sunday, June 8th. 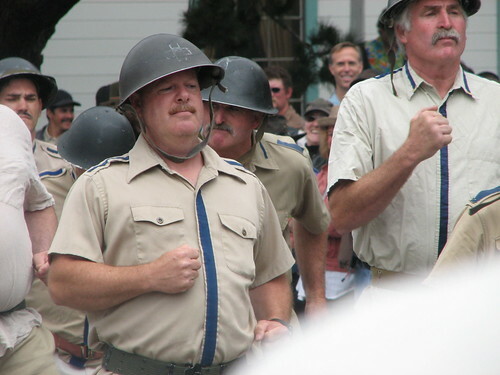 Western Weekend Parade, Pt Reyes Station, originally uploaded by CommandZed. at the Old Western Saloon, PRS. Pink Sabbath, Conjoined Twins Reunion Burlesque Review and Tinsletown Rebellion. $5-8, care to come clad in cowboy costume? or wearing your western threads? receive admission discount. Western Weekend Queen’s Dance , Dance Palace Music by Jenny Kerr multi-instrumentalist, a native of Northern California, known for her roots in traditional Americana: country, blues, folk and rock, will begin at 8 pm, following a Western County Dance lesson at 7 pm. The crowning of Western Weekend Queen, Lianne Nunes’ is scheduled for 9 pm. General admission is ($15, teens are $5, seniors and under 12 are free. Over 200 items will be auctioned off including overnights stays at Pelican Inn, Sorenson’s Resort, Vichy Springs, Terri’s Homestaymeals, tickets to events, fine arts, crafts, expert services, gift certificates, and local wares.